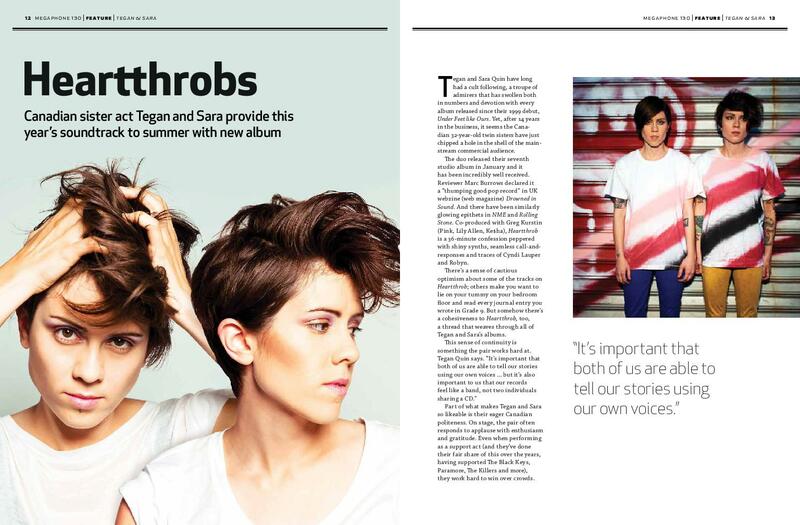 The popular Canadian duo Tegan and Sara released their seventh album at the beginning of the year. Reviews were good and fans loved the new album as did The Big Issue Australia, which published an article on the Canadian twin-sisters’ road to success in the music business. 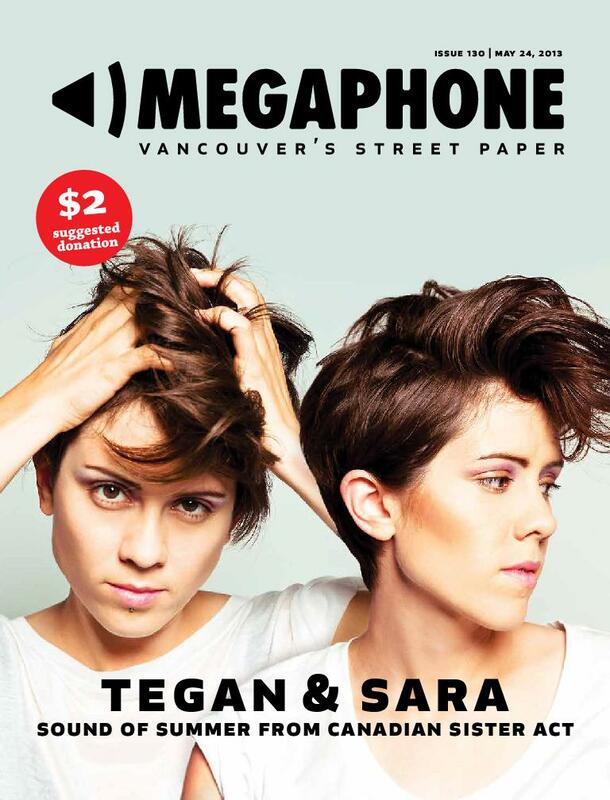 Megaphone from Canada also picked up the story about their home-grown stars, and put the duo on the cover of their May 24 edition. Street Vibes in America also republished the story. 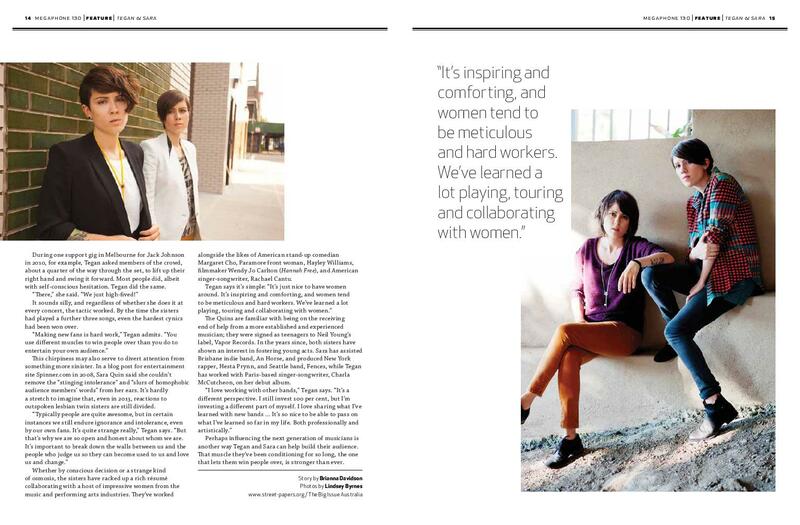 The full article can still be downloaded here. Das beliebte kanadische Duo Tegan und Sara hat Anfang des Jahres sein siebtes Album herausgebracht. Die Kritiken waren gut und die Fans liebten die neue CD – wie auch „The Big Issue Australia“, der einen Artikel über die erfolgreichen kanadischen Zwillingsschwestern brachte. Auch „Megaphone“ aus Kanada nahm den Artikel über die Stars aus der Heimat auf und hob das Duo sogar auf das Cover der Ausgabe, die am 24. Mai erschien. „Street Vibes“ aus Amerika druckte die Story ebenfalls.